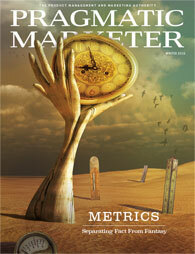 This article highlights the key “smarketing” metrics to focus on for the next 12 to 18 months. Smarketing = sales + marketing. Mike Volpe, then vice president of marketing, and I invented the term in 2007 when we worked together at HubSpot, the world’s leading inbound marketing and sales platform. It never made sense to either of us that sales and marketing were often placed in separate silos, instead of working side by side. We thought we could generate a competitive advantage by setting common goals, defining standard vocabulary, sharing information, watching the same dashboards and meeting monthly to measure performance. And we were right! The first quarter of the new year is always fun. Marketers emerge from the budget cycle wasteland to implement their plan for the next 12 months. It’s an important time to have your proverbial ducks in a row. To do that, you need to gather data. You need to gather the facts. You need to line up the right information, in an easy-to-understand presentation, so that you and the senior executive team can see the appropriate marketing correlations and make the right decisions to drive company revenue. That’s right. The marketing team is responsible for driving company revenue. Although sales gets a lot of the credit, marketing has to do the heavy lifting. And I say this as someone who has spent his life leading sales teams. Modern marketers have all the power—and all the responsibility—to feed the sales beast. You must use the right metrics and then overperform so the company can meet or exceed monthly and quarterly revenue numbers. You must have enough qualified leads to call to generate the right number of opportunities and create corresponding pipeline activity that leads to more business and exceeds the quota. Metrics are critical data. They are statistics. They are also the foundation of how to manage a company in 2016. Metrics could be the key to getting you more headcount, a bigger budget, more responsibility, authority and a seat at the senior management table. Without the right statistics, you are just an opinion, on equal footing with everyone else. If you have the right metrics, you can drive more powerful solutions in a way that it is hard to ignore. 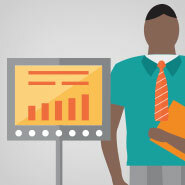 Some marketers have a love-hate relationship with stats or metrics. They love them when they help the cause; they hate them when they are hard to collect or interpret or don’t help the decision process. Metrics should be generated automatically or it’s simply not worth it. User-generated metrics, calculated in a Google doc or spreadsheet, can frequently be inaccurate or simply too hard to create or correlate. Plus, the last thing you want is to give up your Sunday to creating charts that no one will look at or understand. There are lots of tools to measure prospect and customer interactions that can lead to greater productivity. Use them. Most marketers know the broad categories that are essential to measure: website and blog activity, email performance, number and quality of leads, conversion numbers and percentages, social media interaction and most importantly, content that leads to revenue. 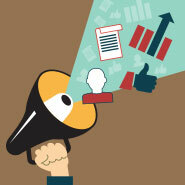 Most of this information is important for managing the marketing process. But since some is fluff, you’ve got to be selective. This means ignoring certain data and focusing on the important stuff. Because I believe in efficiency, here are five key metrics for you to focus on and five others to ignore. Marketing is all about bottom-line results. 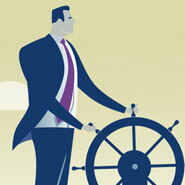 Senior managers have no problem investing in marketing that generates a solid ROI. But almost 75 percent of senior executives don’t think marketing departments are focused on results to truly drive customer demand. You need to be one of the departments that does focus on it. But how? First, define your goals for revenue by month, quarter and year, then set budgets. Studies show that unless you set a specific, definable, trackable goal, it is hard to determine if you are on track. I recommend setting your own goal and then comparing it to the budget that senior management gives you. Lots of marketers say to me, “I wish I could set my own goals (guttural laughter followed by maniacal head-shaking).” The reality is you can and you should, so that you can stress-test and ensure that your defined goals are fair, achievable and meet company objectives. You should set a revenue and customer number (customers, users or transactions you want to acquire) by month and quarter, preferably defined by persona or segment, that adds up to at least 105 percent of your quota or budget. It should be based on year-over-year comparisons and include seasonal influences. And it should be evaluated by your marketing team, sales management and individual sales teams. A focused marketer will know how they stand against the goal every minute of every business day and will build in the programs to make sure they are tracking ahead of the goal. If you are on top of your revenue goal, other metrics become a tad less important. If you are ahead of your goals, feel fortunate and bask in the light of overachievement. If you are behind, at least you will know it before everyone else and can work to fix it. An essential part of generating revenue is gaining new customers to sell to, which means generating leads to call or visit. There are wide variations in types of leads: leads by personas, segments, influencers, buyers, partners, standard leads, marketing-qualified leads and sales-qualified leads. Inbound marketing—or content marketing—is a great way to generate the leads you need to exceed your lead goal. You need to understand which content influences buyer decisions as they move from stage to stage. If a specific blog article moves people from the education mode to the evaluation mode, it is important that you can identify it and then act on it by making it even easier for people to find. • By channel: email, social media, organic traffic, paid media, referrals, etc. • By content element: blog content, offer content, web content, etc. Equally important is tracking the segment of one. The segment of one is the individual track that prospect, user or customer takes to go through the education, evaluation and, ultimately, the buying stage. This information is helpful for your sales teams and can result in lead scoring and predictive lead scoring that helps correlate the right sales actions to the right person at the right time. It also supports upselling and cross-selling opportunities. LTV helps define the parameters for what you spend to acquire new customers. It is a strong indicator of whether you are doing marketing right and whether your business model is sound. This metric shows the value of a customer for the entire duration that you work with them. It can be defined as a dollar value based on the present and future projected cash flow from working with that customer. LTV ($) = [Margin ($) * Retention Rate (%)] ÷ [[1 + Discount Rate (%)] * Retention Rate (%)]. LTV lets you predict the most profitable group of customers, understand those customers’ common characteristics, and focus more on them instead of on less profitable customers. CAC is the total sales and marketing cost (all the program or advertising spend, plus salaries, commissions, bonuses and overhead) for any time period, divided by the number of new customers during that time. For instance, if you spend $100,000 on sales and marketing in a month and add 10 customers that month, your CAC is $10,000. CAC shows how much your company spends per new customer acquired. The lower the average, the better. An increase in CAC means you spend comparatively more for each new customer, which can imply a problem with your sales or marketing efficiency. If your CAC is too high, you can go out of business because it costs you too much to acquire customers. A pragmatic marketer will look at CAC to find the ratio of marketing to sales expenses, determine if the marketing expenses are too high and search for clues about the sales team’s performance. A high CAC isn’t always an issue. In certain scale-ups, you may be in an investment phase, spending more on marketing to provide more high-quality leads and improve your sales productivity. Page views are interesting because they are a leading economic indicator. However, while there is a correlation between page views and leads and revenues, it might not be a strong correlation. Different web pages serve different functions: Some are static information, some provide educational content, some are evaluation content, and sometimes people just click all over the map without regard to what they are looking for. Measure the total of the aggregate page views on your website and include the information by page, but don’t obsess about the details. This is an interesting but meaningless metric. It is hard to determine the right amount of time someone should spend on a page because all pages are of different lengths and difficulty. What if a user finds the right information at the top of the page? What if they walk away from their computer while that page is open? What is the goal anyway? This is the age of the opinionated. You “Like” something or you don’t. Most people are optimistic about content and will vote it up. In fact, several studies show that people will vote up social media content without actually reading it. “Likes” don’t translate into leads. Figure out which social media channels turn into leads and customers. Don’t obsess about the rest. I used to think of blogs as electronic water coolers and I imagined that blog comments were a great way to make a site interactive. But after a few years of blogging, I have a different view. Blog comments are rare and they are typically authored by a certain personality, someone who feels strongly about the subject. Most blogs I visit are less interactive, therefore metrics around blog comments are less important. The average click-through on display ads is 0.06 percent, according to recent reports. In addition, 50 percent of the clicks are accidental. Plus, millennials register a strong dissatisfaction with this medium. With ad blocking becoming a more relevant factor, it becomes increasingly difficult to recognize a return. Maybe it is time to move on. Okay, there you have it. Five important metrics and five unimportant metrics. 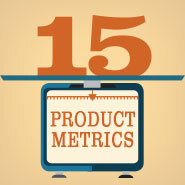 Metrics can be powerful when you focus on the right ones. Not only will you achieve your goals, but you will gain a reputation as the driver of powerful solutions that increase your company’s revenue. Dan Tyre has spent a lifetime dedicated to sales, sales management and company growth. His extensive work with startups, small businesses and rapidly scaling teams gives him a unique perspective on business, sales and life, which he enthusiastically shares through public speaking, group mentoring and team coaching. Dan joined HubSpot in 2007 as a member of the original team. He continues leading the growth and training of the HubSpot team while serving other companies as a director, advisor and angel investor. Contact Dan at dtyre@hubspot.com.